Joe Sundgren has been in the auction, real estate and appraisal business since 1977. He is the founder and broker of Sundgren Auction & Realty. 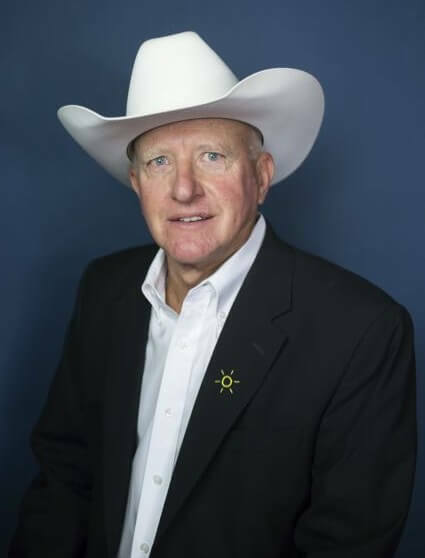 Through the years, Joe has sold many premier properties, including the 9,100(+) acre Frank N. Bills Living Trust Ranch, 7,000(+) acre Eaglehead Ranch, the 7,000(+) acre Dunne Ranch, the historic Ellis Ranch, Zebold Ranch, and Kanady Ranch, to name a few. For many years, Joe’s auction results have topped the market on ranch, farm, hunting and recreational properties. Sundgren Auction is experienced in selling personal property, residential real estate, farm machinery, household items, antiques, and business liquidation items. Joe, and Sundgren Auction, have the personal contacts, support personnel, and expertise to successfully market any type of property. Joe has lived all his life in the El Dorado area. He attended Butler Community College and then graduated from Missouri Auction School in 1976 and Kansas State University in 1977. Joe has owned cattle, quarter horses, and land in both Butler and Greenwood Counties. His civic duties include serving on the Board of Trustees of Susan B. Allen Memorial Hospital, the board of El Dorado, Inc., and being a member of the El Dorado Chamber of Commerce. Joe also regularly volunteers his professional services at local charity auctions. Joe has two children. His eldest, Jeremy, joined Sundgren Realty when he returned from Kansas State University in 2000. Jeremy has been assisting his father in the auction business since the age of 15. Joe’s daughter, Mikaela, is a graduate of Kansas State University School of Veterinary Medicine.